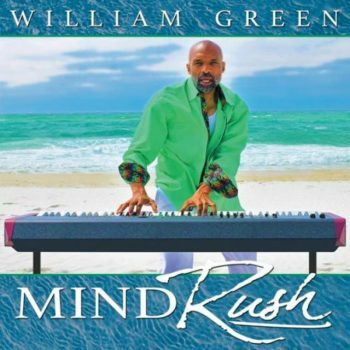 William Green is an extraordinary musical artist that captures and expresses the sentiments of a generation. He is continuously expanding his horizons to make an impact on society by creating a union between music and life. Through his music, he has allowed different genres of contemporary jazz, rhythm and blues, pop and gospel to integrate into a new and unique form. In celebration of 40 years in the music industry and a ‘thank you’ to his fans and newcomers, the legendary jazz icon recently held a special 40th anniversary celebration at City Winery Atlanta on July 11, 2018, and performed before a sold-out crowd. Due to high demand, Green was invited back to City Winery for a second show on October 29, 2018. A full-time musician, composer, songwriter and producer, Green is passionate about his piano, and he puts his heart and soul into his performances. He delivers funky, upbeat, soulful and contemporary jazz sounds, and exudes unforgettable stage appeal and showmanship. He possesses one of those rare, “instant classic” voices — forceful, yet gentle. Green’s music is beautiful, lyrically refreshing, vocally and melodically unique, timeless, rich and jazzy. His previous three albums, possessed an exceptionally well-composed body of original songs, written and produced by Green. “I pride myself on creating timeless music that can be shared with the world for a lifetime. It’s important to me to create timeless music because of recognizing the lack of musical integrity that now exists in the music industry,” says Green. He has written and produced for numerous artists. Green has showcased his charismatic charm and keyboard mastery with audiences around the world (Japan, Europe, Africa), while performing nationally with acclaimed artists such as Boney James, Tom Brown, Earl Klugh, Roy Ayers, Mindi Abair, Peabo Bryson, Cameo, Valerie Simpson, Kenny Lattimore, Melba Moore, Jennifer Holiday, Jean Carne, the sons of Otis Redding (military tour), BB King All-Star Band and Curtis Mayfield. He also had the privilege of appearing with, Susan Tedeschi, as the opening act for the Rolling Stones, opened for Spyro Gyra and The Yellow Jackets. Green was selected as one of the performing artists at the 2010 Atlanta Jazz Festival. In addition, he was co-host of the 2010 Atlanta Jazz Festival Session. He has performed with his own band, The Magic Dream Band at the Mable House Barnes Amphitheatre and numerous venues in the Atlanta jazz circuit.